Every palace has its private nooks and Katy’s is no exception. Our outside patio gives guests the chance to unwind and lounge with a quiet cocktail. This is their cosy corner with an expansive view of the night sky. 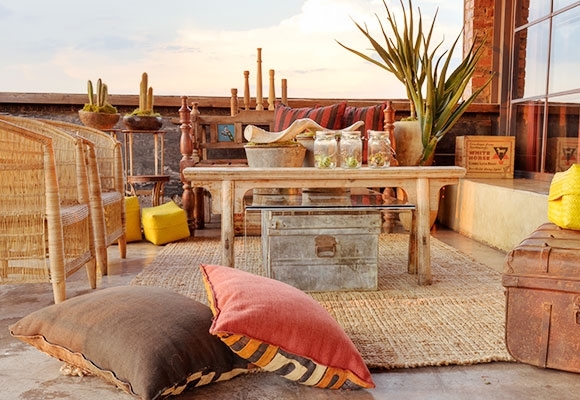 Luxurious and comfortingly comfortable with a distinct African feel, our rustic patio can be transformed into a series of secluded nooks or a sanctuary of calm moments away from your main event.